Hotel Villa Paradiso Dharamshala is an ideal property to sojourn when you are on a pleasurable trip of this naturally-blessed destination in Himachal Pradesh. It is nestled in the tranquil environment of Mcleodganj and the foremost travel attractions of Dharamshala are very accessible from this palatial property. The accommodation here is spread across fully decorated rooms and suites, which are embellished with plenty of modern in-room amenities. Besides that, the sprawling ambiance of Villa Paradiso Dharamshala is also comprised of a fine dining place ideal for tasting Indian and international dishes throughout the day. 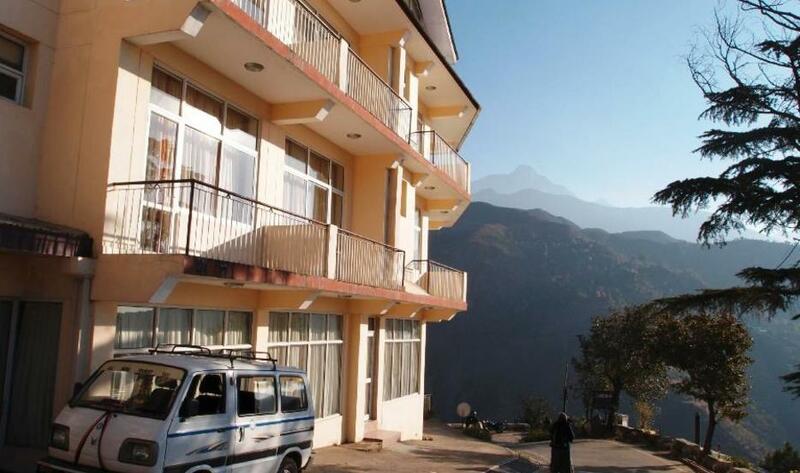 Hence, make your holidays at Dharamshala more memorable by accommodating at this beautiful property. As a guest, you can book your accommodation at any of its Standard Room, Premium Room, Superior Room and Family Suite. All these living spaces are comfortable to your budget and equipped with multiple modern amenities. The facilities of these rooms are including LCD television, private balcony, wooden flooring, complimentary bottle of mineral water, tea/coffee maker, free Wi-Fi internet connectivity, hair dryer on request, intercom facility, attached bathroom, room service and daily newspaper. Apart from the lavishing accommodation, the hotel is also comprised of a wonderful dining place in the presence of Cafe Paradiso. It is an ideal place to taste mouth-watering Indian as well as international food items during the time of breakfast, lunch and dinner. The restaurant has tranquil environment, and wonderful seating arrangements for the guests ensuring the interesting dining experience for the guests. The hotel also boasts of a state-of-the-art meeting hall ideal for organizing small business meetings with maximum 15 people. It has excellent seating arrangement alongside an array of modern facilities. Furthermore, the famous attractions of Dharamshala like Kangra Art Museum, Tibetan Library, Kareri Lake, St. John’s Church, Naddi, Tsuglagkhang and Dal Lake are placed in the vicinity of Hotel Villa Paradiso Dharamshala. Besides that, the hotel also provides adequate travel assistance to its guests. The tranquil staying environment of this hotel is nicely complimented by the contemporary facilities, which include major credit card acceptance, high speed Wi-Fi internet connectivity, parking, lounge books, yoga & massage on request, 24 hour room service, travel assistance and many more. Hotel Villa Paradiso Dharamshala is situated on Potala Road (Old Jogiwara Rd), Mcleodganj, Dharamsala - 176219, District Kangra, Himachal Pradesh.